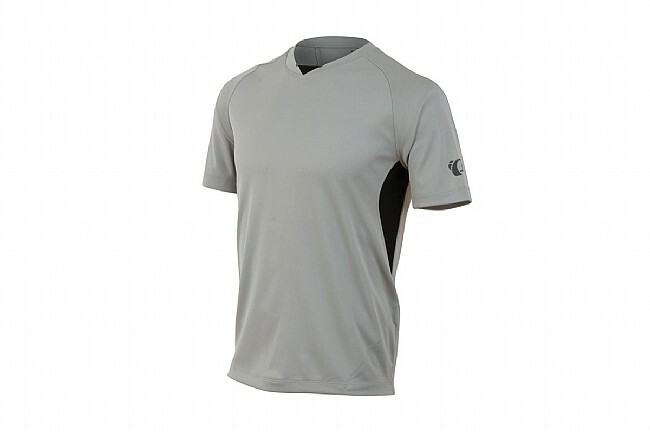 The Pearl Izumi Men's Canyon Jersey is a comfortable, casual jersey perfect for mountain bikers and other cyclists who prefer a more unassuming look. Despite its everyday appearance, the jersey features technical fabric and a thoughtful, cycling-oriented cut that'll keep you comfortable on an all-day ride and then follow you to the bar afterwards. Pearl Izumi's Transfer fabric offers excellent moisture management, while Direct Vent panels keep you cool where it counts. Contrast splices add a little sporty style. 100% polyester.